H13041_DR.pdf 7.52MB The document may be read using a free Adobe Reader. H13041_DR.xml 96.1KB Descriptive Report in XML format. H13041 View / Download H13041.xml Usually presented as an XML document, which captures the basic characteristics of HSMDB metadata verified from H10000 (1982) to the present as well as F00200 (1965) to the present. H13041_GeoImage.pdf 40.16MB NOAA/NOS Layered GeoSpatial Image PDF File. 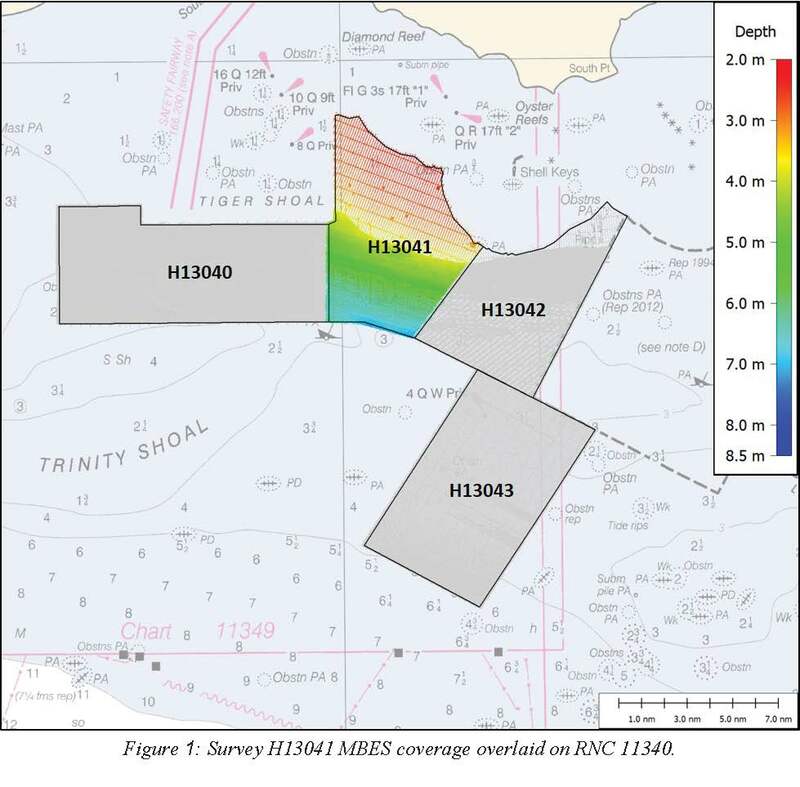 H13041_MBAB_2m_Osprey_455kHz_2of2.tif 9.78MB NOAA/NOS TIFF multibeam acoustic backscatter mosaic survey image. H13041_MBAB_2m_OceanExplorer_400kHz_1of2.tif 10.81MB NOAA/NOS TIFF multibeam acoustic backscatter mosaic survey image. H13041_BottomSamples.ascii 1.8KB NOAA/NOS bottom sample document in PDF or ASC format. H13041_ProjectSketch.jpg 94.3KB Project sketch image with highlighted survey area.